Did Elon Musk Just Make California’s $64 Billion Bullet Train Obsolete Before It’s Even Built? 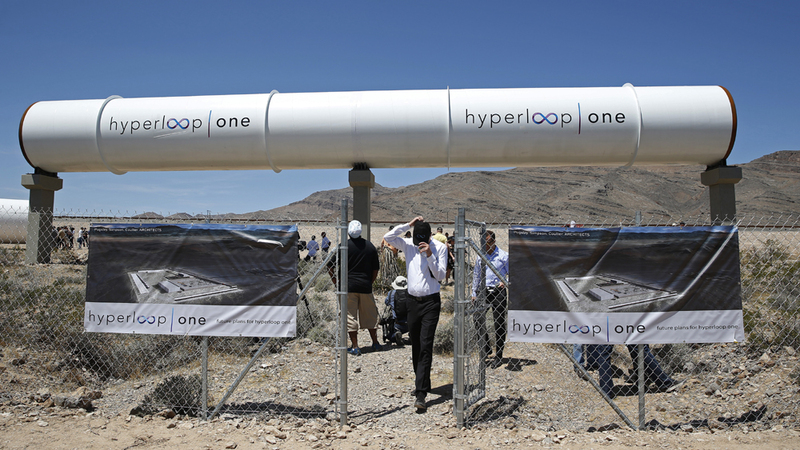 Just three years after Elon Musk described his sci-fi-esque vision for “hyperloop” travel, one of two competing companies, Hyperloop One, successfully conducted its first proof-of-concept test in Nevada. Musk’s idea with hyperloop was to send floating transportation pods through depressurized tubes at speeds of up to 760 mph. At that speed, a trip from San Diego to San Francisco would take a little more than 30 minutes. Development on Musk’s idea is now moving at hyper speed. Hyperloop One’s test, for example, came just 16 months after that company was founded. Company executives say they will be able to ship goods on its system in three years, and carry passengers by 2021. It’s already raised $120 million in private investments, and has launched a competition to see which area will be the first to host a hyperloop network. Another company, Hyperloop Transportation Technologies, plans to build a full-scale 5-mile track starting later this year. It’s raising money through crowdfunding, and the 520 people working on the project are doing so in exchange for an equity stake in the company. Contrast hyperloop’s fast-paced financing and innovation with California’s bullet train. Despite the fact that Gov. Jerry Brown calls it “a 21st-century transportation system,” it is incredibly old-world in every way. First, there’s nothing innovative about the trains at all. High-speed rail has been around for decades. At best, the trains will run 220 miles per hour, and even that’s a stretch, given the cost and safety concerns involved. Meanwhile, the project is mired in politics, plagued with delays, and suffering massive cost overruns. When California voters approved the project in 2008, they were told 800 miles of high-speed rail would be up and running by 2020, and would cost less than $36 billion to build. The latest plan now says it will take until at least 2025 … to build just half of it. And the total cost has ballooned to $64 billion. If it’s ever finished, this massively expensive rail project will provide a service that few, outside of politicians and advocacy groups, particularly wanted, and that few are likely to use. Especially if there’s a privately run service that can get you there three times faster. Is there a lot of hype about hyperloop at the moment? Maybe. The technology is new and largely untested. But since enthusiastic private investors are staking their own money on the outcome, it’s far less likely to become a massive boondoggle than a taxpayer-funded railroad. Plus, if hyperloop doesn’t pan out, taxpayers won’t be left holding the bill. The biggest hurdle hyperloop systems will likely face isn’t technological or financial, but resistance from government bureaucrats worried that it would defeat their grand bullet train dreams. The private sector can always get things done better, faster, with more innovation and flexibility, and at lower costs than bureaucrats and politicians. That’s just as true when it comes to transportation projects as anything else.